Desription: If you want to learn more about refugees and asylum seekers, the difficulties they face in Hong Kong and how you can help, please join us for this information session to learn about the wonderful work the Christian Action Centre for Refugees does. 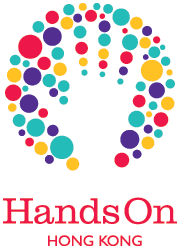 This session is co-organized by Christian Action and HandsOn, and run by an experienced Volunteer Leader to the program—it is a prerequisite to join before you can volunteer for our homework support session for children of refugees and asylum seekers. During the session volunteers will receive important guidelines on how to best support these students and communicate with the sensitively, given the nature of the events they and their families have experienced. Remarks: Session will be conducted in English. If you cannot make it after signing up, please cancel your sign up online immediately to release your spot for other volunteers in waiting list. Please be considerate!